The sura “Ya-Seen” is one of the most frequently recited suras. 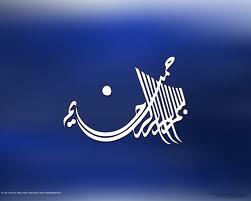 It is introduced with the initial letters “Ya-Seen.” The letter “Ya” is used 237 times and the letter “Seen” is used 48 times in the sura “Ya-Seen”. If we add 237 and 48, it makes 285 (19×15), which is an exact multiple of 19. The sura “Ya-Seen” contains many scientific signs. We advise you to read this sura and try to understand it. Unfortunately, people always recite this sura after a person dies and they do not even try to understand the meaning of it. However, it is very interesting that God says that the Quran was revealed for the living. 69- We did not teach him myths, nor is it worthy of him. This is nothing but a reminder and a Quran making things clear. those who do not believe. Thanks, your site has astonishing facts. Love it. Regards.